As part of the University’s enduring commitment to be the nation’s premier institute of higher education for veterans and military-connected students, Syracuse University’s Office of Veterans and Military Affairs (OVMA) has announced the membership of its inaugural advisory board. 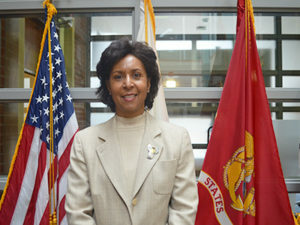 Comprised of leaders with diverse and deep levels of experience from the military, government, business, higher education, and public service sectors, the Board will provide advice and counsel to University leadership related to programs, initiatives, and opportunities positioned to advance the educational aspirations of the University’s veteran and military-connected students. Paul Dottle retired after a 27-year career at American Express where he served as the executive vice president of Global Business Services. He currently resides in New Providence New Jersey and has two children who attended Syracuse University – Madelyn ’18 and Griffin ’14. Griffin attended Syracuse as an Air Force cadet who commissioned as a U.S. Air Force officer in 2014. Griffin is currently stationed at McGuire Air Force Base. Paul’s father (O-6) and brother (E-7) both retired after long and distinguished careers in the U.S. Army. Paul himself also served in the U.S. Army Reserves. He is passionate about veterans’ affairs and has volunteered for the past year at the VA Hospital in Lyons, New Jersey. 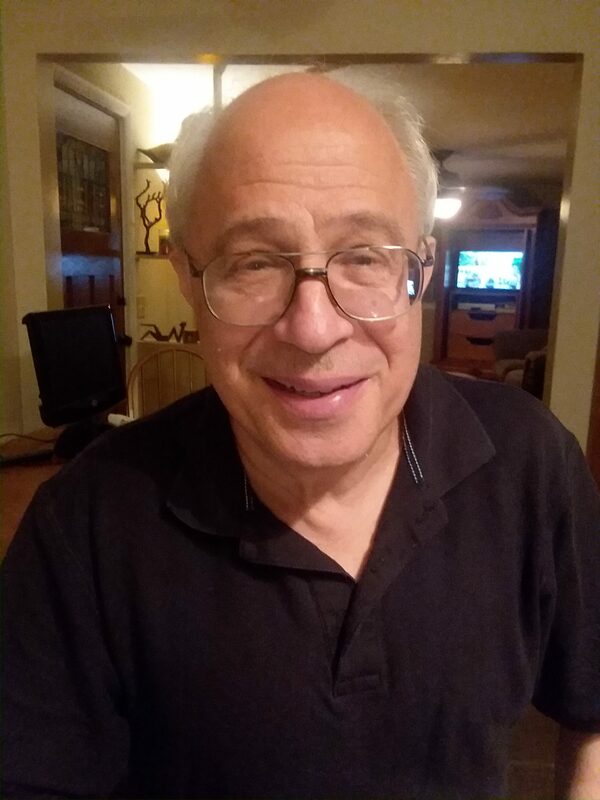 Gary Ginsburg earned a Bachelor of Science degree in 1972 from Syracuse University while attending on the GI Bill and a master’s degree from the University of Southern California in 1979. Gary served honorably and retired from the US Army after more than 33 years of service, both in the states and overseas. During his service, he attained the rank of Command Sergeant Major. Currently, he volunteers for the Veterans Outreach Center in Rochester, NY assisting transitioning service-members and their families. He is also a member of the West Point NY retired Soldier Council, the Webster Chamber of Commerce, and also serves as President of the board of directors for his 104 unit Townhouse Association. 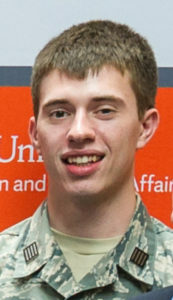 Cadet Zachary Harter currently acts as the FTP Director of Operations for Air Force ROTC at Syracuse. A 2015 graduate of Notre Dame Jr/Sr High School, Cadet Harter entered Air Force ROTC after contracting with a Type 1 AFROTC Scholarship. He is a member and Commander of the Arnold Air Society. Other positions within the program include, Uniform Room Technician, Detachment Readiness Technician, PT Flight Technician, Safety and Accountability Commander, and LLAB Squadron Commander. Cadet Harter is currently majoring in Aerospace Engineering and pursuing a minor in Management Studies. He challenges himself even more by running his own painting business where he is able to apply his leadership skills and knowledge to his crews of painters and marketers. Cadet Harter, upon commissioning, will pursue an Air Force career as a pilot. Apart from school and ROTC, Cadet Harter enjoys spending his time volunteering for various community service events. With 100s of hours volunteered, he has done all sorts of events ranging from helping at the local VA to helping to feed those in need at the local Samaritan home. Cydney Johnson is the executive director for state and local government relations at Syracuse University. She boasts more than 25 years of experience in government relations, higher education and nonprofit/business development. A double alumna of Syracuse, having received her undergraduate degree in retailing and her masters of business administration from the Martin J. Whitman School of Management. Cydney’s professional experience includes seven years as an adjunct professor in the David B. Falk College of Sport and Human Dynamics, an appointment as senior vice president of U.S. Accounts at Blueprint LTD, a small global marketing firm; vice president of consumer marketing and sales at Oneida Limited; and tenure as director of development at the Whitman School. Johnson is a member of the Central New York Regional Development and Planning board and a board member of the Syracuse Partnership Council with the Syracuse City School district. Jim Lee has worked in the Petroleum Distribution business for more than 28 years (currently with NOCO Energy Corp) and is an Equity Partner with Menio Global, an Independent Agent of Card Connect – a First Data Company. 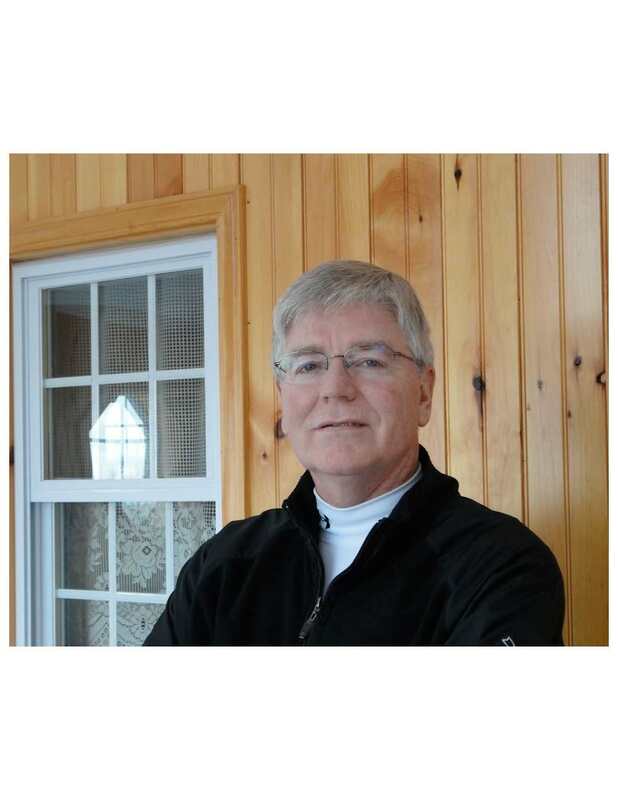 He serves on the board of the Retreat Center: Christ the King Retreat House and is Chairman of the Harold Lee Open Golf Tournament, named in honor of his father Harold who served in the United States Coast Guard. To date the tournament has raised more than $372,000 to benefit disabled veterans through various local organizations. Jim has also been the recipient of the Onondaga County Veterans Council Humanitarian of the Year Award and the Whitman School of Management Dean’s Citation for Exceptional Service Award. A 1975 graduate of Syracuse University earning a degree in math and education he was co-captain of the 1975 Final-Four team, received Syracuse’s Vic Hanson Medal of Excellence Award, is a member of Syracuse’s All Century Basketball Team, and received the Syracuse University Letter Winner of Distinction Award. Jim is also author of Fifteen Feet For Free, a simple guide to foul shooting for players at any level – from the driveway to the NBA. A portion of the proceeds from the sale of his book is donated to the Entrepreneurship Bootcamp for Veterans program at through Syracuse University’s Institute for Veterans and Military Families. Jim and his wife Lou Ann have two daughters, Amanda and Suzanne (Matt), and a son Jay. Adam LeGrand served in the USAF as a medic enlisted in July 2001 and was medically retired in March 2011. He served at the 106th Rescue Wing, 1st Fighter Wing, and 88th Medical Group. He deployed in support of OEF, OIF, and ONE. A 2018 graduate of the Communications and Rhetorical Studies program at Syracuse University, Adam is currently pursuing a Master’s in Public Administration degree and with a graduate certificate in National Security and Counterterrorism from the Maxwell School. Adam is a Peer Advisor for Veteran Education (PAVE) at Syracuse and the current Student Veterans Organization (SVO) president. In February 2017, Adam created the Disabled Student Veteran Liaison Program to help and aid disabled student veterans. 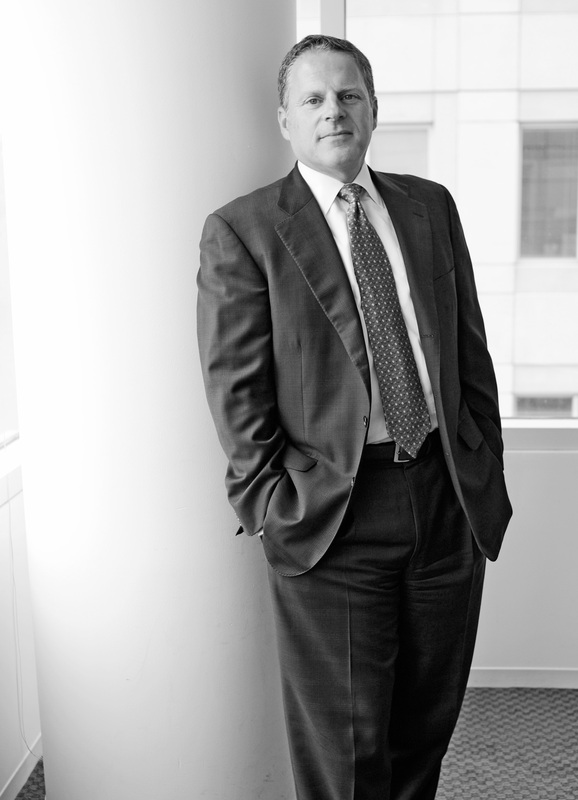 Ken Quaglio is the Chief Executive Officer for Celerity, a digital consulting firm. He oversees company-wide operations and drives strategies that help Celerity clients modernize their businesses efficiently. Bringing more than 30 years of experience in a variety of management consulting and industry positions, Ken’s expertise ranges from information services, technology, government, communications/media, consumer products, and manufacturing. Before joining Celerity in August 2017, Ken served as president/CEO of Siteworx, an award-winning digital experience consultancy. Ken has also previously served as COO at 3Pillar Global and held a principal/partner role with Ernst & Young, where he developed a major new health care practice and led their Federal Advisory performance improvement service line. He served as president of command information and held various leadership positions within the Global Marketing organization of Electronic Data Systems Corporation (EDS) as Vice President. Ken also held a vice president/partner role at A.T. Kearney (acquired by EDS) and started his career with Booz Allen Hamilton. Ken is a 29-year Army veteran who helped launch the Entrepreneurship Bootcamp for Veterans’ Families at Syracuse University. He is a member of the Board of Directors at Shenandoah Telecommunications (NASDAQ: SHEN) where he serves on the Audit Committee as well as the Shentel Foundation. Ken actively supports Miriam’s Kitchen, an organization committed to ending chronic homelessness in Washington, DC. Ken holds a B.S. in Biological Science from Florida State University and an M.B.A in organization and management from the Syracuse University. LaVonda Reed is a professor of law and the University’s associate provost for faculty affairs. She is an expert in the areas of wills and trusts, property, and communications law, having joined the faculty in 2006. Previously, she was a member of the faculty of the Brandeis School of Law at the University of Louisville and a judicial clerk for the Honorable Donald W. VanArtsdalen of the U.S. District Court for the Eastern District of Pennsylvania. She has experience in private practice as an attorney with the international law firm of Paul, Hastings, Janofsky & Walker LLP. While in practice, she represented businesses and financial institutions in various aspects of communications and corporate law. Professor Reed earned a bachelor’s degree from the University of Virginia and a juris doctor from the University of Southern California. She is admitted to practice in Maryland and the District of Columbia. 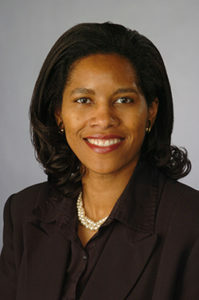 A member of the Federal Communications Bar Association and the American Bar Association, LaVonda serves on the executive committee of the Section on Mass Communication Law of the Association of American Law Schools, as well as on a number of other university, law school, national, and local committees and advisory boards. 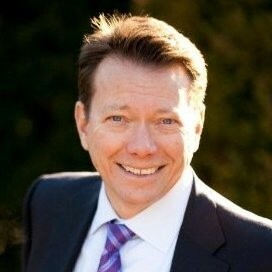 Richardson is a noted industry leader, advisor, coach, and executive consultant. He provides leadership and executive coaching, business optimization and transformation advisory, strategic communications, and other professional services across a diverse client base. His post-military employment history includes serving as a Manager at Coopers & Lybrand LLP; Partner at Arthur Andersen LLP; Partner at Deloitte LLP; and, President of FedBid, Inc.
Glenn served in the US Army in Reserve and Active components, and as a noncommissioned and commissioned officer. His military assignments included the US Army Special Operations Command; US Army, Europe; and, The Joint Staff. Glenn is a graduate of the Army (now Defense) Comptrollership Program at Syracuse University, and has participated in the Entrepreneurship Bootcamp for Veterans as a speaker and panelist. In addition to an MBA from Syracuse, Glenn earned an MA from the US Naval War College and undergraduate degrees from North Carolina State University. He currently serves on the Board of Directors for the Human Resources Leadership Forum, and on the advisory boards of several socially conscious companies that do well by doing good. Glenn and his wife, Carol, reside in Leesburg, Virginia with two dogs and one horse. Mark Westerveldt is Vice President for Software Engineering/Development Management at Fidelity Investments where he’s been employed since 1990. 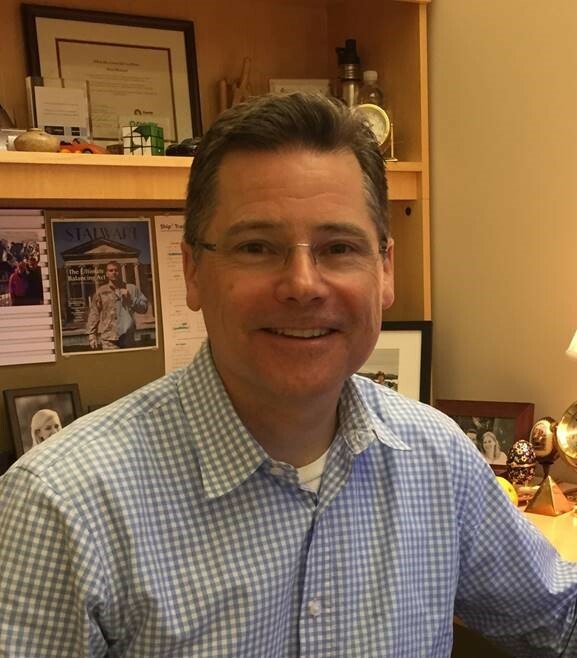 At Fidelity, Mark is responsible for leading a global software development organization that provides software products on behalf of Fidelity’s Institutional businesses. 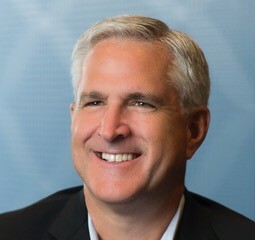 Prior to Fidelity, Mark held several positions at Electronic Data Systems. Westerveldt is also in his fourth season as coach of the Boston University Terrier Ski Team. He holds a commercial pilots license with an instrument rating, and is President of the Lawrence, MA based Aeronauts Flying Club; he has also flown over 25 charity flights for Angel Flight of New England. In his home town of North Reading, MA, Mark served multiple terms on the town’s Finance Committee and coached youth soccer. Mark is the father of Syracuse University Army ROTC cadet Adam Westerveldt ‘18. He is an alum of Bentley University where he received degrees in Computer Information Systems and Management. The OVMA serves as Syracuse University’s single point of entry for all veteran and military-related programs and initiatives. Committed to being the “best place for veterans™,” the office assists university stakeholders to support and empower veteran, military-connected and military family member students and employees who are veterans at the University.